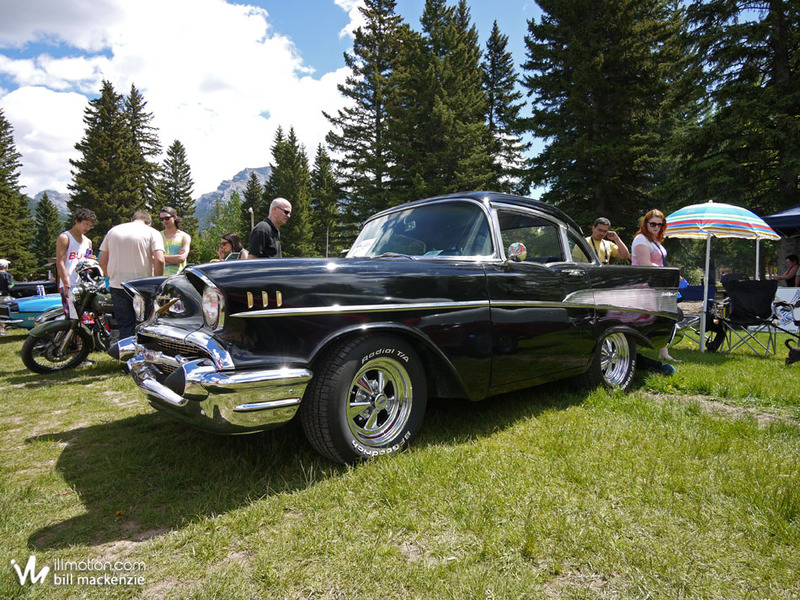 Now on ill.motion is part one of my coverage from a recent show and shine in Canmore. As I have done before with iM posts here are some additional comments on a few photos. 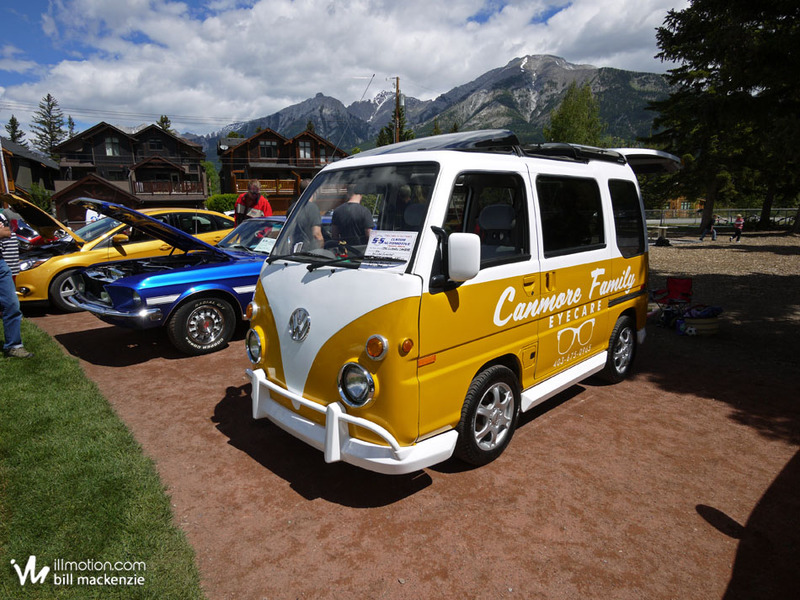 As explained on iM, this was held in Canmore on Father’s Day this year; it’s an annual event in the small town and always draws out some amazing cars. This was the first time I was a participant though, as I had the Focus with me so at the last minute I registered it. I was going to be there anyway, so why not have some fun and enter the car? 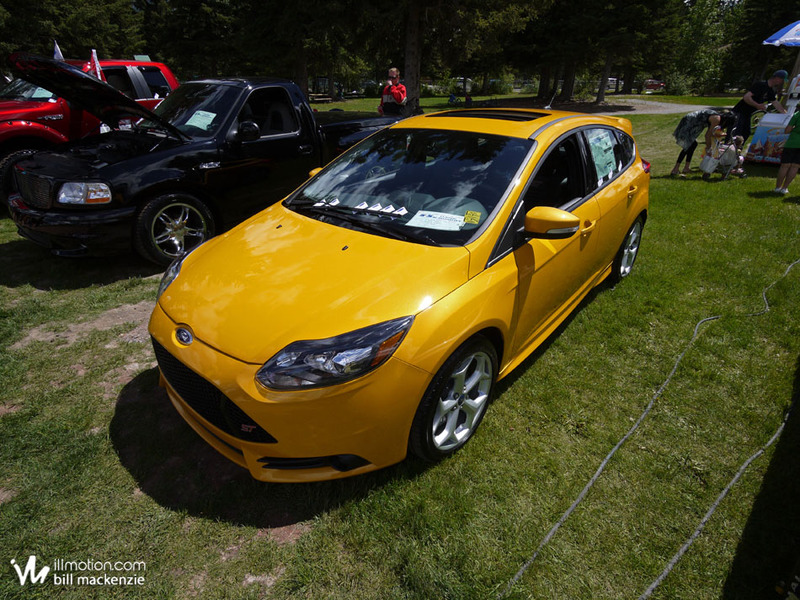 Surprise surprise, I’m reposting the photo of the ST. You saw that coming. As I was driving around the field to park my Focus I spotted this and while I was a little disappointed I couldn’t park next to it, I knew I had to go look for the owner to say hi. As it turns out it belonged to a dealership (the business cards had not been placed yet when I first drove by and I didn’t see the window sticker) but it gave me a good chance to admire it and look it over in detail. A VW Bus that shrunk in the wash? Nope, it’s a Subaru Sambar. I spotted this prior to the show but wasn’t sure what it was exactly; all I could determine was that it was a Subaru of some sort but didn’t recognize the model. It ended up winning best import and given the crowd’s reaction it wasn’t a surprise. You can see the Focus two cars over, so I spent a lot of the day hanging out at this end of the field talking to people, and there was always a crowd around the Sambar. The VW-inspired exterior looks awesome on the little van. This is not a photoshop or trick of any kind; this really is a shortened Bel Air. There’s a saying along the lines of “Anyone can restore a classic, but it takes a real man to cut one up”. I can’t begin to imagine the amount of work this must have taken. It would be awesome to see some progress photos of such a job. Meanwhile there are a growing number of shrunken car photoshops popping up online, and here we have one which needs no editing. I will have an additional Extras post for this show after part two goes up on ill.motion. I realize the blog has been a little slow on updates lately but I have been going to many meets and shows and haven’t had as much time as I would have liked to get to the photos.